Graduate Visa IS NOT points tested and you DO NOT need an employer to sponsor your visa. Many temporary graduate visa holders use the time on this visa to build up the skills and requirements necessary to meet the criteria to apply for a permanent general skilled visa in Australia. Anytime throughout the duration of the temporary graduate visa, visa holders can lodge an application for another permanent visa. You MUST make your application within 6 months of your graduation. You can study a Vocational (Certificate or Diploma Course) or University Course to be eligible for this visa, as long as the course prepares you for a job that is on the MLTSSL. *The fee listed above is current as of 13 Dec 2018 and is subject to change. **Plus credit card payment fee if paying by credit card. Liaise with Immigration whilst the visa application is under process. Will I be eligible for this visa if I studied a two year course package at a vocational providerCan I still apply for the Temporary Graduate Visa if I began my studies before November 5th 2011? If you have been granted a student visa prior to November 5th 2011. You will not be allowed to apply for the Post Study Work Stream Graduate Visa. I have completed a bachelor of business at a university in Australia, but was granted my first visa prior to November 5th, 2011, what visa can I apply for? You will not be eligible for the PSWS Graduate visa. However you may be eligible for a different visa to remain in Australia. 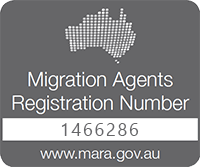 It may be a good idea to contact a Registered Migration Agent to find out your options. What happens if I was granted my visa before November 5th 2011, but started my course in February 2012? If your visa visa was granted before November 5th 2011, you will not be eligible for the PSWS visa. Regardless of when the course started. How do I know if I will be eligible for the Graduate Stream Visa? What happens if I had a break in my studies? Will I still be eligible? As long as the student meets the 2 year study requirement, it does not matter if there is a break in the study. Providing that the student meets the other requirements for the visa. A Student who was granted her visa to study a Bachelor or Marketing on September 1st 2011, to study a course that begins on January 2012, WILL NOT be eligible for the PSWS Graduate Visa. Regarding to the work stream graduate visa, do applicants have to apply within 6 months of the course completion date or the gradation date? If it is the former, would it be possible to get an exemption for occupations that have only added since 1st July this year, as students usually complete their course requirements in December? The 6 months requirement begins when students have completed their studies and know that they are going to graduate. So when you receive your final marks back. Thank you for your reply. I completed my course in late Dec last year, however, my occupation has only been on the SOL since 1st July this year. Would it be possible for me to get an exemption? My name is Hammed. I am a Nigerian but work in Dubai as an Office Assistant. I have completed my 4years degree in Educational Management. I want to ask if there is a short course and cheap tuition that i can study in Australia which will increase my chance of work there. I have finished cert 3 in carpentry and currently I study cert 4 Buiding and construction. I am about to nominate carpentry on my 485 application and my question is: Will they accept my study of cert 4 as a second academic year to comply with their conditions? My 485 (PSW) about to expire and my newly married wife is applying 485 visa. She completed Bachelor degree recently. Can i make a combine application with her??? Does it have to be at least a bachelor degree? Or do certificates (I.e. Carpentry) count as well for the graduate visas? The email you have provided is not valid. Please I would like to ask about the best institutions who provide a Diploma in automotive for international student. Hello, I have some question regarding the graduate visa. What if I finished a certificate III in individual support +certificate IV in ageing support in a duration of 1.5 years. Will I still be able granted for a graduate visa? Hi, after a certificate III in Childcare and Education (1 year) and then a University Graduate Diploma in Education (Early childhood teaching) that let me register as a early childhood teacher, can I apply for the 485 work stream since I’ve studied for 2 years? Hello Vale, and thank you for contacting us. I would suggest you to book a consultation to one of our migration agents through this link: https://pathwaytoaus.com/book-a-consultation/ so they can fully understand your situation and better advise you. Hi, I’m currently studying Diploma in Mental Health duration for 2 years. Am i eligible to apply for temporary graduate visa? I’m already finished my Leisure & health Certificate & Leisure & health diploma, it is possible to apply for Temporary Graduate Visa. Hi I want to ask if I can stay in Australia if I had completed a certificate 3 early childhood education. Also my circumstances are a bit different please contact me. We have contacted you directly with details for this course. I am currently doing Graduate Diploma of Professional Accounting in Australia, the course duration is one year. However once I finished my graduate diploma, I will transfer to Master of Professional Accounting (same University) that will take me another one year to finish. Does this counts as 2 academic years? Hi I will be graduating with an advanced diploma of event management in May 2020 after 2 years of study. Will I be eligible for this visa if I have not completed a degree? Hi there, I got a few questions about 485 if you don’t mind. I’m planning to apply for 485 when completing my PhD (in about 1.5yrs) and bring my gf as a subsequent entrant. We’re long-distance, but we’ve been dating for two years, and are working towards marriage. The visa has a 8515 condition ‘Not marry before first entry’. I know it’s in plain English but still want to confirm. Does ‘first’ refer to an applicant’s first entry after receiving 485, or to their first one ever? If the former, then we aren’t allowed to get married until receiving our 485s (therefore we need to prove our relationship by other means). But if the latter, we should still be able to, because she’s been to Australia before on a tourist visa. I’ve lodged a 485 application on 10 Jan 2019 onshore, and now I am offshore back in my home country. My student visa expires on 15 Mar 2019. I understand that I should be onshore when the visa is granted, but my current plan is to obtain the visa first, then work in my home country for maybe a year, and then work in Australia for the rest of my visa period. So now my student visa is expiring soon, would you suggest me to travel back Australia to apply for the bridging B visa that allows me to travel until my 485 visa is granted? Or would my ‘plan’ not work? I am currently studying Master of Physiotherapy and will be completing in July 2019. I also had completed a Bachelor of Science (sports and exercise science) from Australia which was done as distance learning. I understand that they mentioned within 6 months of completion, but is it possible to start applying for the graduate visa earlier prior to completing the course? Thank you. Can I apply for 485 if my English tests have expired? I gave them in 2015 and they expired in 2017.
for those who graduated in year 2013, are they allowed to apply for the visa this year? I studied a Bachelor degree from 2012-2015 that I couldn’t complete due to visa issues which resulted in a 3-year ban from the country under PIC 4014. If I return to complete just the one semester of courses remaining, in 2020, will I still be eligible for this visa? Many thanks for the useful information! To discuss your individual circumstances, please book a consultation via the website.